More than fifteen American Equus Chosen Riders will be participating in the weekend's races using the cutting edge Teardrop XL racing irons. The first weekend of November will host some of the greatest racehorses in the world in sunny California for the annual Breeders' Cup weekend. Held for the first time at Del Mar Racetrack, the weekend will feature some of the richest purses in American racing and be a proving ground for next year's triple crown hopefuls. More than fifteen American Equus Chosen Riders will be participating in the weekend's races using the cutting edge Teardrop XL racing irons. American Equus' racing irons are specially designed to provide the perfect combination of safety and competitive edge. Rider comfort and safety are paramount to the American Equus brand, and these irons are the ultimate options as they feature Aircraft Quality Billet Aluminum for advanced lateral crush strength, as well as a wider foot bed to increase stability and support. Not only are they extremely functional, but each iron is custom finished to the rider or owner's specific desire, then hand-polished to give them a unique, eye-catching quality. American Equus' Chosen Riders are some of the best jockeys in the world and were hand-selected for their excellence in the sport. Mike Smith is an American jockey who has been one of the United States' leading riders since the early 1990's. He is no stranger to the Breeders' Cup races and has claimed victory in more of them than any other jockey with a total of 25 wins. Mike was inducted into the National Museum of Racing Hall of Fame in 2003. He is also the second leading jockey of all time with over $300 million in earnings. 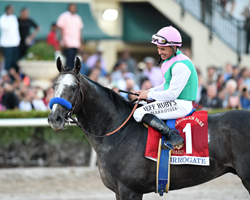 Most recently he secured a win in the Pegasus World Cup Invitational Stakes on Arrogate as well as a win in the Dubai World Cup- two of the richest purses in racing. Mike will be riding the following horses at the Breeders' Cup this weekend: Arrogate, Home of the Brave, Defrong, Birdie Gold, Unique Bella, Caledonia Road, Abel Tasman, Mor Spirit and Moon Dash. Jose Ortiz was a top competitive jockey in Puerto Rico before moving to the U.S. in 2012 to join his brother, Irad, in American horse racing. Ortiz's career quickly gained traction and he became the leading jockey in America in 2016 after a series of wins, including a Breeders' Cup victory. He has since gone on to win his first Triple Crown Race, the Belmont, in 2017. Jose will be riding multiple horses at the Breeder's Cup this weekend: War Story, Oscar Performance, Good Magic, Takaful, War Flag, Paulassilverlining, Hogy, Separationofpowers, Elate, Untamed Domain, Gato Del Oro and Best Performance. Florent Geroux is a French native but started his career in American horse racing back in 2007. He has won multiple graded stakes and is most noted for winning five races all in the same day at Kentucky Downs in 2015. He came just shy of his own record with a four-win day on Arlington Million Day in 2016. Florent will be riding a handful of horses at the Breeders' Cup this weekend: Gun Runner, Tap Daddy and Goodthinstaketime. to the U.S. in 1997. Hewon his first Breeders' Cup classic in 2004. He has won the Eclipse Award for Outstanding Jockey every year consecutively from 2013 to 2016 after having the highest purse winnings of any jockey in North America. Most recently Javier was inducted into the National Museum of Racing and Hall of Fame in 2017. Javier will be riding plenty of horses at the Breeders' Cup this weekend: West Coast, Bullards Alley, Givemeanminit, Imperial Hint, Grand Jete, Carina Mia, Mongolian Saturday, Maya Malibu, Voting Control and Rushing Fall. Mario Gutierrez is a Mexican-born jockey who has had multiple successes in several derbies. Mario won the Santa Anita Derby, the Kentucky Derby and the Preakness Stakes aboard I'll Have Another in 2012, and he proceeded to win the Kentucky Derby again in 2016 aboard Nyquist. Mario will be riding the following horses at the Breeders' Cup this weekend: Pavel, Bahamian, B Squared, Piedi Bianchi, Champagne Room and Encumered. Irad Ortiz Jr. has been a leading jockey in New York since 2012. 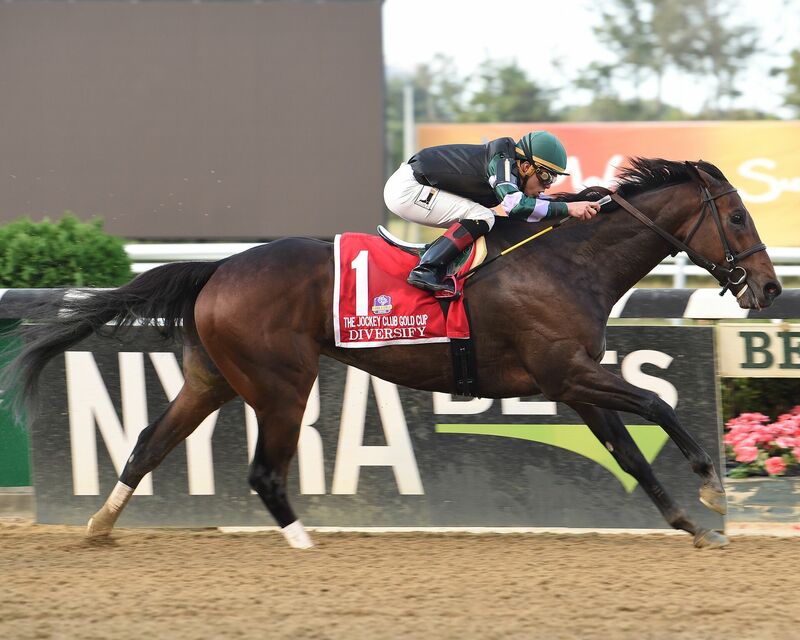 He won his first Breeders'Cup race in 2014, and he then won his first American Classic in the 2016 Belmont Stakes. He has finished second in the North American Jockey Standings several times. Most recently he rode Diversify to victory in the $1,000,000 Jockey Club Gold Stakes at Belmont. Irad will be riding the following horses alongside his brother Jose in the Breeder's Cup races this weekend: Fanciful Angel, Firenze Fire, Lady Eli, Bar of Gold, Disco Partner and Significant Form. Robby Albarado began his racing career at the tender age of 10 years old and earned his first win at Evangeline Downs in 1990. Robby won the Jockey Club Gold Cup on Mineshaft in 2003 and the pair were later inducted into the Fair Grounds Hall of Fame in 2005. To date, Robby has won over 5,000 of his races. Robby will be riding Free Drop Billy at the Breeders' Cup this weekend. Evin Roman is relatively new to racing but has been making a splash across the industry as he quickly climbs to the top. He rode his first race in Puerto Rico in January of this past year.He quickly moved to Southern California to pursue his career and had incredible success at the Santa Anita Park spring meet where he won 41 of his races and tied for the spot of Lead Jockey at the age of 19 years old. He is the first apprentice to earn the Lead Jockey title at Santa Anita since 1949. He won his first stakes race in June aboard Street Surrender. Evin will be riding Golden Dragon at the Breeders' Cup this weekend. Manuel Franco's career took off in 2013 and he has been making an impact on the New York Racing Circuit ever since. He has won multiple graded stakes races in New York in the years following his launch and has consistently increased his winnings each year. Manuel will be riding the following horses at the Breeders' Cup this weekend: Whitmore, Holding Gold, Gio Game and Catholic Boy. Brian Hernandez Jr. began riding professionally in 2003 and secured his first win that same season. His career took off the following year when he won 243 races and earned the Eclipse Award for Outstanding Apprentice Jockey. By 2012 Brian had won 1,000 of his races and would go on later in the year to win his biggest race, the Breeders' Cup Classic. Brian will be riding a trio of horses at the Breeders' Cup this weekend: Finley's Luckycharm, Princess Warrior and Romantic Vision. Luis Contreras rides professionally out of Canada where he has proven to be a formidable competitor. Luis has had multiple victories in 2016 and 2017, including most recently the Schuylerville Stakes and the Fantasy Stakes. Luis will be riding Ami's Mesa at the Breeders' Cup this weekend. Rafael Bejarano embarked on a professional racing career in 1999 in Peru before making his way to the U.S. in 2002 and settling inKentucky. He won his first race on U.S. soil in the summer of that year and would continue on to win major races both in New York and Kentucky. His big break came in 2004 when he was awarded the United States Champion Jockey. He has since gone on to have wins in the Kentucky Derby, the Preakness, the Belmont and more. Rafael will be riding two horses in the Breeders' Cup races this weekend: Guns Loaded and Cupid. Tyler Gaffalione is a third generation jockey and rides mainly out of Gulfstream Park. In 2015 he easily dominated the Gulfstream Parkspring/summer meet with a 28-win lead. He then went on to receive the Eclipse Award Trophy as the country's leading apprentice. Most recently Tyler has had victory in several graded stakes races such as the W.L. Mcknight Handicap, the Muniz Memorial Handicap, and the Jack Cincinnati Casino Spiral Stakes. After winning six stakes races, Tyler will be riding two horses at the Breeders' Cup this weekend: Paquita Coqueta and Ultima D.
Victor Espinoza is most famously known for his Triple Crown win on American Pharaoh in2015. He has won the Kentucky Derby three times, as well as the Preakness, and almost managed to secure another Triple Crown win in 2014 on California Chrome. His 2015 Belmont race was the third time he aimed for Triple Crown victory and with his success he became the first Hispanic, as well as the oldest jockey, to win the award. Victor will be riding a duo of horses at the Breeders' Cup event this weekend: Stellar Wind and Accelerate. Ricardo Santana Jr. came from Panama to the U.S. in 2009 to begin working at Delaware Park. His work ethic quickly led him up the ladder to his successes as Leading Rider there in 2012 and 2013. He saw his first career graded stakes win in 2013 and continued on to win the Kentucky Jockey Club Stakes and Southwest Stakes. He earned the jockey title for the fourth year in a row in 2016 when he won the Arkansas Derby. Ricardo will be riding both Snapper Sinclair and Iron Fist in Breeders' Cup races this weekend. Joe Talamo debuted his career in 2006 at Louisiana Downs and went on to become the first apprentice jockey to win a riding title at the Fair Grounds Race Course. Joe earned five grade one stakes wins in 2007 and earned the Eclipse Award for United States Champion Apprentice Jockey. He has also secured several major wins recently such as the Gold Cup at Santa Anita Stakes, the Santa Anita Handicap, and the American Stakes in 2016 as well as a repeat win in the American Stakes in 2017. Joe will be riding Alluring Star, Responsibleforlove, and Win the Space. To learn more about American Equus and their complete lines of stirrups, spurs, and horse shoes, visit their website. To stay up to date on all of the action from the Breeders Cup, click here.